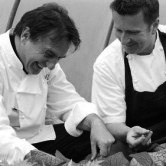 On Wednesday 21st March, Chef Raymond Blanc OBE is welcoming guests to Belmond Le Manoir aux Quat'Saisons for a gastronomic feast to celebrate the delights of joie de vivre at his two Michelin starred Oxfordshire hotel and restaurant. Goût de France will celebrate French gastronomy in five continents on Wednesday 21 March 2018 and over 2,000 chefs on all five continents are expected to join in on the eve of spring. Menus served simultaneously in participating restaurants will honour the merits of French cuisine, its capacity for innovation, and its values: sharing, enjoying, and respecting the principles of provenance and environmentally responsible cuisine. 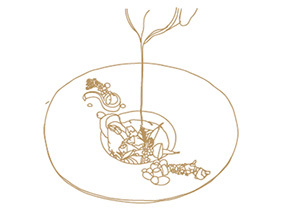 In 1912, Auguste Escoffier came up with the brainchild: Les Dîners d’Épicure (Epicurean Diners). The activity was focused on one day with one menu, which was served in cities all over the world to as many guests as possible. Prezzo dell'evento 190 GBP /pers. Ricevi le novità sulle esperienze gastronomiche e sugli hotel di lusso. Scopri in anteprima le ultime novità e le offerte esclusive iscrivendoti alla nostra newsletter. Scaricate le nostre applicazioni per scoprire e prenotare gli hotel eleganti e i ristoranti gastronomici che vi proponiamo in tutto il mondo.